The man in a bear suit that has been taking the EDM world by storm this last year, made a stop Thursday night at the Blue Moose Tap House in Iowa City. Accompanied by Kill OG and Ricky Remedy, the trio put on an electrifying, bass-filled performance. As this was my first time seeing a dubstep show in Iowa City, I was not sure what to expect. I arrived to the show at around 10 o’clock and was instantly greeted with bass heavy enough to shake the building. Kill OG, an Iowa native, had just taken the stage and was doing an excellent job of amping up the crowd with a dubstep driven set. As I took in my surroundings, I was immediately surprised by the large turnout. Secondly, I was ecstatic to see people wearing merch from many of my favorite artists from GRiZ to Excision. The Iowa City EDM scene appeared to be thriving more than I thought it would be. 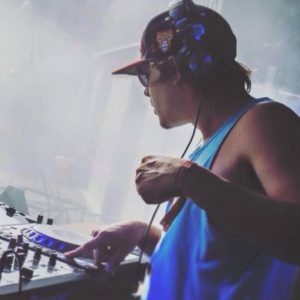 Following Kill OG with no intermission, was Rick Remedy, an up and coming artist in the electronic trap genre who has collaborated with many big name artists including Diplo and LOUDPVCK. For someone like me, who admittedly isn’t always into trap, it was not my ideal set but he didn’t disappoint. He was able to use a combination of trap and remixes to multiple popular songs to keep the crowd intrigued and dancing throughout his set. My favorite part of his performance was when he dropped “Supernova”, a song he made with Big Makk, who recently passed. It gave me chills as he shouted “Let’s do it for my brother” and the whole place raged in his honor. Bear Grillz was set to start at 11:45 and the crowd seemed to be getting more excited with every minute that passed. Finally, it was 11:45. 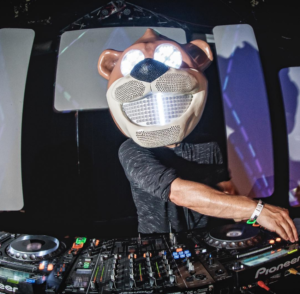 As Bear Grillz came out on stage in the dimly lit venue, the illuminated eyes and mouth on his newly redesigned bear head shone brightly throughout the room. Wasting no time at all in getting to the heavy songs, Bear Grillz opened his set with a remix of Phiso’s “Jotaro” There was a surprising lack of ‘wow, another “Jotaro” remix, who would’ve guessed?’ type of fans like I’m use to seeing at shows. “Jotaro” got the majority of the crowd head banging and warmed up for the rest of the set. Next up was a new song by Funtcase, this seemed to be a crowd pleaser and set the bar high for the rest of his set. 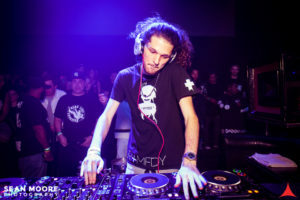 Throughout the night he continued dropping new songs from many notable artists including Jauz, Bro Safari and Kayzo. Not to mention, a heavy rendition of “Don’t Let Me Down”, because what set would be complete without a Chainsmokers remix? He played all of his classics as well, such as; “EDM” and “F*ck Off”, which were both greeted with lots of enthusiasm from the audience. Bear Grillz did an excellent job of choosing the right songs that kept the audience interested and excited. 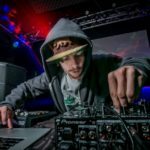 Through the combination of his classic songs, plenty of heavy drops and music from many different popular artists in the scene, he was able to create a memorable mix of music from start to finish. 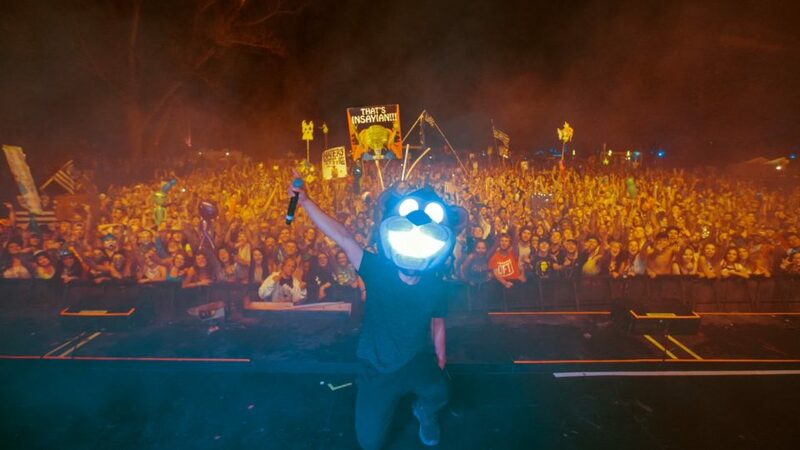 Bear Grillz spent much of summer 2016 making stops at music festivals all over the country, from Dancefestopia in Kansas City, MO to Moonrise in Baltimore, MD. This was very apparent as he was able to easily bring the hype and atmosphere of a large festival, and project those vibes all throughout the Blue Moose making for one incredible performance and night. 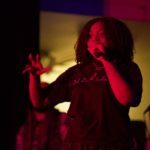 For music from these artists, click here: Bear Grillz, Kill OG and Ricky Remedy. To keep up to date with where I’ll be next follow me on Twitter.